With so many people expected to switch over and buy the iPad 2 in the next few weeks, there's a question that many people have started asking and which MacWorld's Middle East edition asked this week in their story "What to do with your old iPad." One point that the author makes is that you can always look at the option of recycling but this story being US-centric doesn't actually share options of where you can recycle your iPad in the UAE. 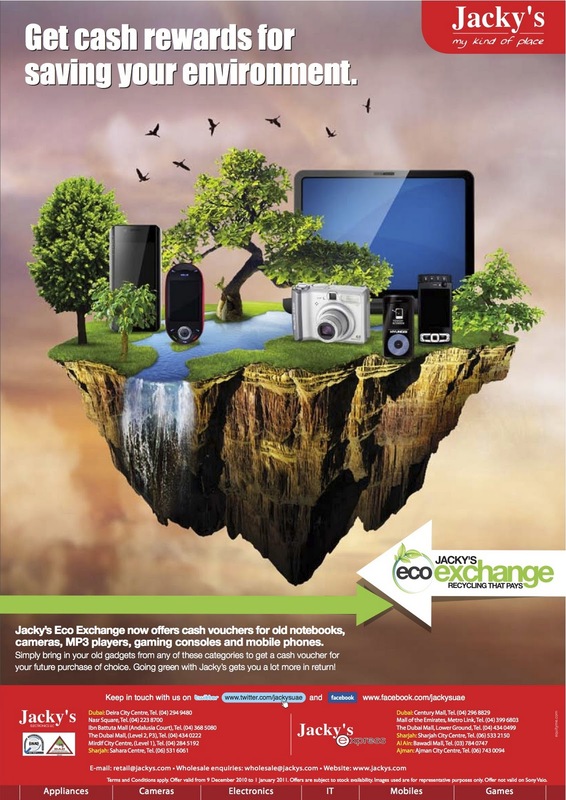 If you can't find anyone to gift your old iPad to or to re-sell it to, take a look at local recycling programs like the Jacky's Eco-Exchange program (click here for details). This program exists so that you can do your bit for the environment locally. As a bonus, you do get store credit which means you can also get some money back for your old iPad. Jacky's aren't the only people who can recycle your iPad and do feel free to look around but please do your bit and don't let it just end up in a drawer gathering dust.